Native Yoga Center offers Certification in Traditional Thai Massage. 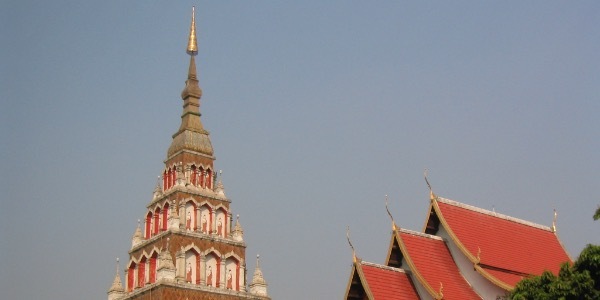 Traditional Thai Massage Level 1 Certification Training will take place over three weekends during the month of August in 2019. Upon completion of the full sessions (3 weekends/ 36hr) Level 1 Certification is received in Traditional Thai Massage through Native Yoga Center. Tuition: $1015 Register for all 3 weekends to become Level 1 Certified in Traditional Thai Massage through Native Yoga Center! Eastern Forward Facing Series training involves learning all of the positions and techniques applicable to working the front of the body(The East) for a complete 2 hour Thai Yoga session. This training serves as a complete introduction to all of the front positions while building depth of work and technique in relation to a complete Thai massage session. In this training we work more in depth in achieving accurate position in relation to movement and build understanding for adaptation to each client's needs. *12 CE Hours are awarded to Licensed Massage Therapists upon full completion. CE Broker #50-9617. 12 CE hours award Yoga Teachers for Yoga Alliance. The Eastern Forward Facing Series Workbook is included in the tuition. Western Side Seated Series training involves learning all of the positions and techniques applicable to working the side, back(The West) and seated positions for a complete 2 hour Thai Yoga massage session. In this training we work in depth in achieving accurate position in relation to movement and build understanding for adaptation to each client's needs. This training allows for those who are serious about learning Traditional Thai massage an opportunity to work with others who feel the same. This training offers insight into how Thai massage is related to a seated meditation practice and serves as a study of Buddhist philosophy in practice with this sacred system. *12 CE Hours are awarded to Licensed Massage Therapists upon full completion. CE Broker #50-9617. 16 CE Hours awarded to Yoga Teachers for Yoga Alliance. A Western Side Seated Series Workbook is included in the tuition. *12 CE Hours are awarded to Licensed Massage Therapists upon full completion. CE Broker #50-9617. 12 CE Hours awarded to Yoga Teachers for Yoga Alliance. The Art of Thai Movement Workbook is included in the tuition. Todd McLaughlin, LMT, ERYT has been practicing Massage Therapy full time since 2000. Todd is a Certified Thai Massage Practitioner with a Teacher Training degree from International Training Massage in Chiang Mai, Thailand. Todd began his studies with Master teacher Chongkol Setthakorn in 2001 and has been practicing the art of Thai Massage ever since. Todd has also studied Hawaiian Lomilomi with native, Dr. Dane Kaohelani Silva of Haleola on the Big Island of Hawaii. Todd's Therapeutic Massage sessions combine the deep, fluid wavelike energy inherent in the techniques of lomilomi into each treatment. Todd has completed all four training levels of Neuromuscular Therapy(NMT) with Judith DeLaney of NMT Center. Todd McLaughlin has years of study and practice with leaders in the field of Massage Therapy. Todd combines global techniques to offer a unique bodywork therapy session that is suited to your individual therapeutic needs. In addition to Massage Therapy, Todd is an Experienced Registered Yoga Teacher at the 500 level with Yoga Alliance. Todd studied Ashtanga Yoga with Guru, Sri K. Pattabhi Jois and his grandson Sharath Rangaswamy in Mysore, India and in America. In 2005, he completed an Ashtanga Primary Series Teacher Training with his teacher, Tim Miller, in Encinitas, California. In 2010, Todd completed a Second Series Teacher Training and in 2015 he accomplished the first Third Series Teacher Training with Timji at the Ashtanga Yoga Center. Also in 2015, Todd successfully concluded the Traditional Yoga Studies 800-Hour Philosophy, History and Literature of Yoga Course under the tutelage of Brenda Feuerstein, Course Tutor/Director of TYS and the late Georg Feuerstein, Ph.D.. In addition, Todd has completed Bikram Yoga Teacher Training in 2002 and had the opportunity of directing a Bikram Yoga College of India for three years in San Diego, California. Through devoted study and practice in Traditional Thai Massage and Yoga continually over the years, Todd joyfully offers his passion and expertise to those with a sincere interest to learn.